A specifically designed hands free microphone for sports and aerobic instructors, as well as Television Journalism, transportation, warehousing and the restaurant industries, in fact where ever actions are demanded. Ideal for wireless transmission and amplification of voice.The microphone is waterproofed and the headband is sealed for protection from perspiration, rain and dust. 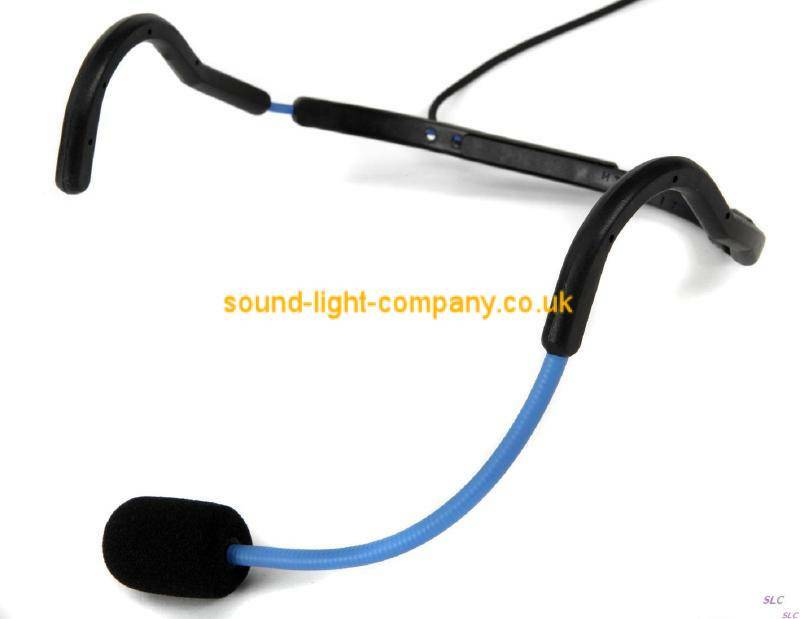 An adjustable headband, worn behind the head, secures the microphone, whilst allowing freedom of movement. Precise placement is obtained with the 4mm diameter flexible gooseneck and the condenser capsule is highly efficient at noise cancellation. Helping prevent feedback or interference from crowd noise, motors shooting etc.